EC-47 ARDF missions in Vietnam. He experienced a diversified Air Force career. He enlisted in the USAAF Aviation Cadet Program on his 17th birthday in 1943. After WWII he attended Purdue University where he obtained a BSME and a regular commission in the USAF. He became a Navigator/Bombardier and accumulated over 4,000 hours on a Lead/Select RB-36 crew in SAC during the Cold War. He obtained a MSE in Astronautics at the Air Force Institute of Technology and served as a manager for the development of the TITAN I&II ICBMs and the TITAN III Space Launch Vehicle. He led the Air Force/Contractor team which successfully placed 35 satellites into orbit. After his tour in Vietnam he returned to SAC and served as the Deputy Wing Commander for Maintenance of the 301st Air Refueling Wing. In 1977, he retired from the Air Force as the Deputy Director of Space, HQ USAF, to accept a position as Program Manager for the Boeing Aerospace Co. He resides in Redmond, Washington. 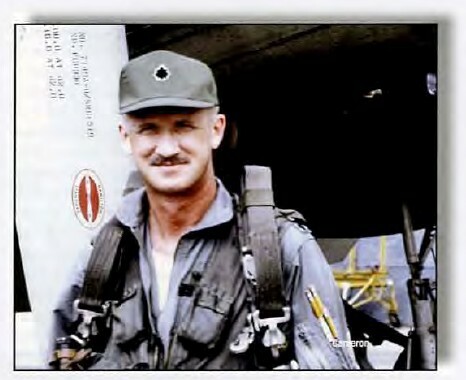 Col. Cameron’s EC-47 story was printed in the Friends Journal of the National Museum of the United States Air Force, located at Wright-Patterson AFB, Ohio.